This small island encased in a triangular barrier reef boasts incredible lagoons. Relax with a intimate picnic on the alabaster beach of one of Aitutaki’s minor islands, uninhabited and lined with swaying palm trees. Despite its heartbreaking beauty, Aitutaki isn’t (yet) flooded with tourists, due to its relatively difficult-to-reach location. For off-the-beaten-sandbar vacationing, Aitutaki is a prime destination, especially for those seeking unbridled romantic ambiance. 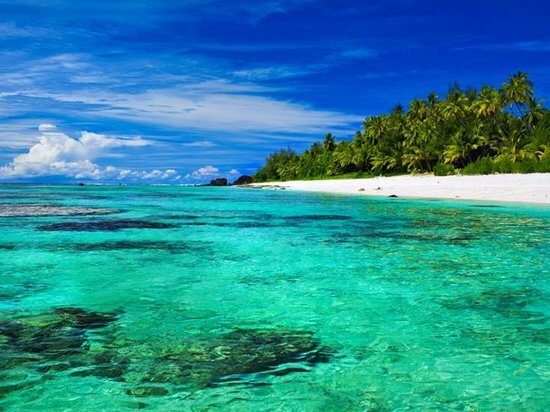 Want to save up to 30% on your Aitutaki hotel? 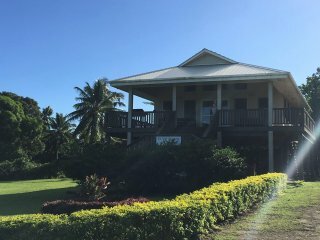 "Nice villa, pretty far remov..."
Are You a Aitutaki Tourism Organization? Keep a look out for your Aitutaki TripWatch.